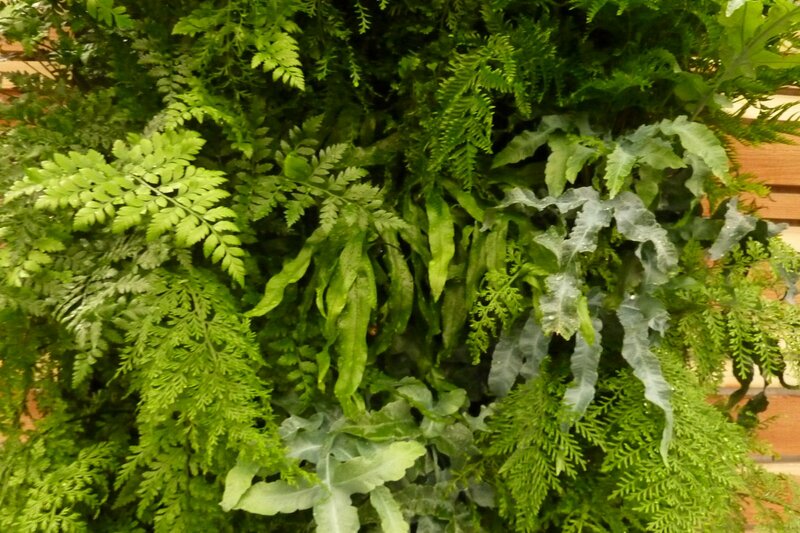 Green goes wild with a collection of ferns installed in a self-watering living wall. 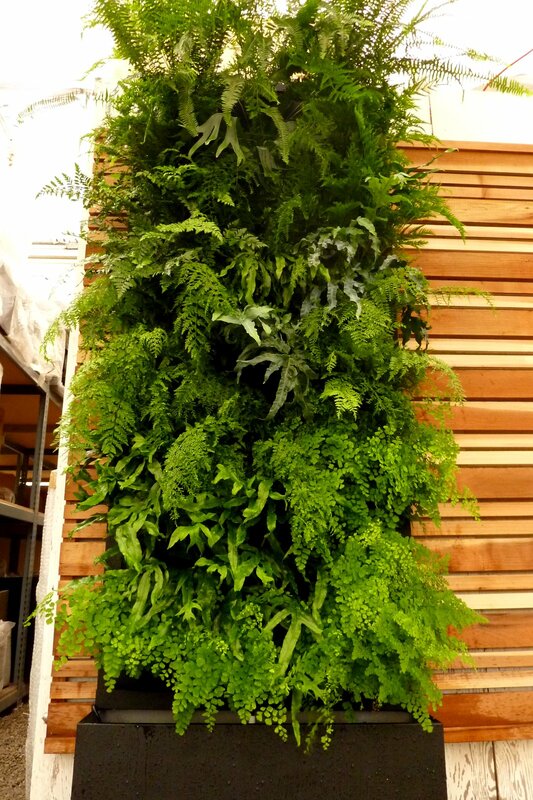 The Floraframe Recirc-36 is on display at the green house showroom of San Francisco Foliage. Floraframe Recirc-36 in paint grade galvanized frame painted textred black. 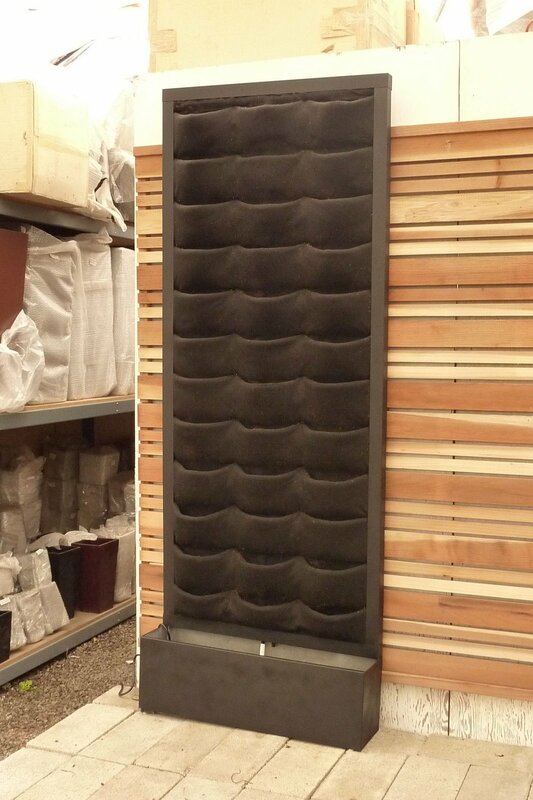 Includes pump, tank and timer with 36 planting pockets covered in black coverfelt and root wrappers. 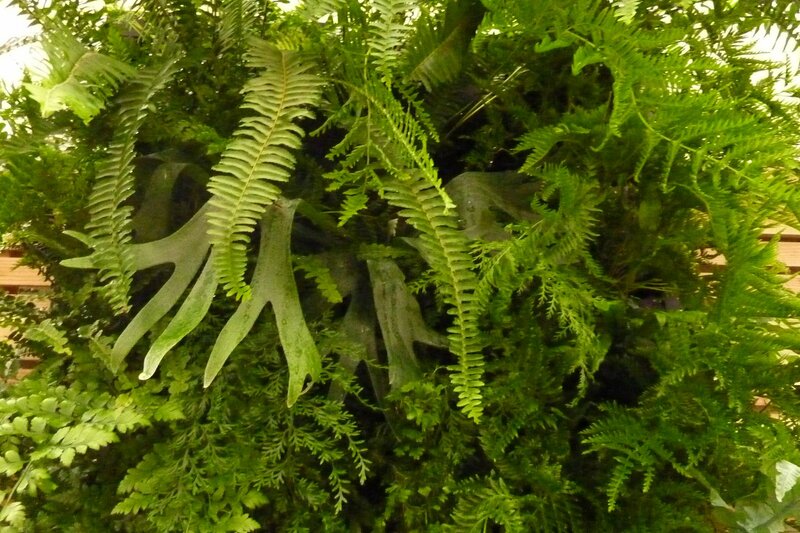 Can be planted full grown in as little as an hour.